I picked this up today at lunch for one of my friends. By the way, I did indulge by snatching a fry. Al’s Italian Beef has the best hand cut French fries ever. I’m sorry I offered to pick it up to begin with because Al’s can sidetrack me faster than anything short of my bacon addiction. 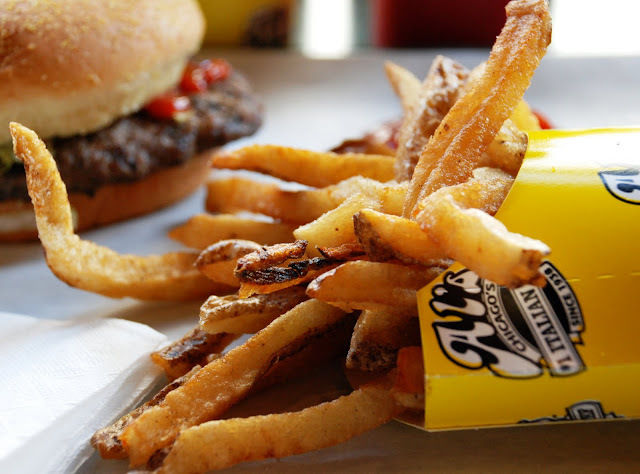 This Wednesday’s $5 special looked so good I will probably pack on at least 5 pounds just dreaming about it tonight…and by the way, early to bed and early to rise makes someone craving burger and fries.